Grappling with the Anaconda’s coils in GMT Games ‘For the People’. Board Game Review. 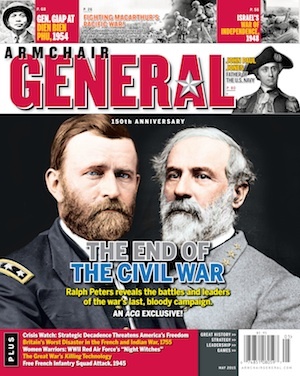 | Armchair General Magazine - We Put YOU in Command! Home » Boardgames » Grappling with the Anaconda’s coils in GMT Games ‘For the People’. Board Game Review. Passed inspection: Gorgeous full color mounted map board, deep deck of event cards, clean, simple combat system. Dynamic gameplay that provides unique experiences in each game. Captures the scope of not just a single theater, but the grand sweep of a conflict that raged from the Atlantic into the Great Plains. Failed basic: Implementation of the naval blockade feels too random, Card-driven game mechanism allows for a degree of friction that can thwart the best strategy. Over the years I’ve played a number of Civil war games. I’ve written games on the naval aspects of the American Civil War for miniatures gaming. My bookshelves groan under the weight of my library. I have friends that have a deep knowledge of the war and several with published books to their name. In short, I like to think I know a little bit about a lot of things related to the Civil War. And I can’t be alone. If one were to assemble all the books and articles published on the American Civil War, you’d have an impressive library. It’s a staggering amount of material. If you don’t believe me, just Google it, one result suggests there are in excess of 50,000 books on some aspect of the American Civil War with more published almost every day. This ever-growing volume of material is also reflected in the quantity of board games focusing on the Civil War. You’ll find games ranging from detailed tactical models of a small part of a great battle to compact games that depict small, lesser known battles. But a much smaller sub-set of games are those that focus on re-fighting the entire war at the strategic level. From this sub-set, ‘For the People’ has proven its worth through multiple print runs with multiple publishers. First released by The Avalon Hill Game Company, the most recent versions of the game bear the GMT Games badge, but still carries famed designer Mark Herman’s name. It’s odd to be reviewing a game that was first released way back in 1998. It’s akin to a movie critic reviewing Spielberg’s ‘Saving Private Ryan’ for a modern audience. But in the case of ‘For the People’, perhaps a better analogy would be the 1977 classic Star Wars. Like George Lucas, Mark Herman has made changes and revisions to ‘For the People’ across the past two decades. The current 2015 edition is different enough from the original that it warrants a fresh look through the lens of the current state of card-driven games. So here we are grappling with the Civil War…again. GMT Games ‘For the People’ (FtP) is a strategic level game of the war between the states. The game casts the two players in the roles of the president of either the United States (aka ‘The Union’ or ‘North’) or the Confederate States of America (aka ‘The Confederacy’ or ‘The South’). As the chief executive of their respective state, the players formulate and implement the military-political strategy that will hopefully lead to victory for their people. This is not Mark Herman’s recent design ‘Fort Sumter’, even though it’s thematically similar and both are card driven games (hereinafter “CDG”). Fort Sumter for all its historical veneer is an abstract area control game. ‘For the People’ is a different beast entirely. At its core, ‘For the People’ is a wargame. Opening up the box we find the following components; a 22” x 34” mounted map board, a 40-page rulebook, that also contains the scenarios, 420 die cut counters, two (2) player aid cards, 2 six-sided dice and a deck of 130 strategy cards. The currently edition of ‘For the People’ includes a nice heavy-duty mounted game board. The map depicts a point to point representation of the states of the Union and Secessionists along with the coastal waters from Texas to Maryland. Florida’s depiction is truncated, focusing on the populated northern part of the state and omitting the frontier wetlands of the Everglades and the Tampa region. The rendering of the landscape is evocative of general landform maps. The seas and rivers are rendered in blue, lowlands in varying hues of green and the high elevations of the mountain barriers in shades of red-browns. It’s a functional depiction that conveys the broad sense of the landscape and how the sub-regions fit together. Strengthening this depiction is the point to point area connections. The areas are connected by one of three communication links – rail, roads or river/ocean. The structure of the networks conveys the broad valleys and plains of the landscape along with the sense of how the mountain ranges divide the eastern coastal region from the mid-west and southeast. Looking at the map, there ‘s a clear sense of the importance of the Shenandoah Valley and how the Shenandoah corridor transitions to the southwest providing a connection through Knoxville to Nashville and Memphis. It’s here that Mark Herman’s depiction of the rail network really shines. With the ability to rapidly shift reinforcements to the front, the rail lines become the natural focus of the offensive thrusts. Sure, you can push an army south from Cincinnati across Kentucky and even take Knoxville, but good luck quickly getting additional troops to reach them. Instead, you’ll shift operations west and move along the Louisville and Nashville railroad leveraging the ease with which the railroad delivers additional troops to your front-line armies battling for control of Kentucky. But it’s not just about the railroads here. Ports – both coastal and riverine – exist allowing both trade and the opportunity for extensive Union naval adventures. Many of the coastal ports have an associated map area depicting the permanent coastal forts that guard the approaches to the port. Unlike many games, the specific terrain in an area is of little consequence. An exception to this is that rivers are depicted and the river(s) in an area box will influence a battle either by hindering (or even blocking!) an attacker and make a retreat from battle costlier. In addition to the playing area (aka ‘the map’) the game board contains a number of holding boxes and tracks used in the game to record the strength of field armies, the state of the naval blockade and capability of the Union Navy and the strength of each sides national will. At first glance the forty-page rule book is an imposing tome. But don’t be intimidated. On closer inspection the rules include a detailed example of play, four scenarios, the designers’ notes and of course, the rules of play. One of the benefits of a twenty-year-old game is that the rules have been tuned and tweaked across the various editions to the point that they are both lean and clear. Over the past two decades, ambiguity has been resolved and, in some cases, rules updated to improve the play of the game. An example is the rules regarding garrisoned forts on rivers. These prohibit movement (including attacks) across the river and turn a small garrison into a formidable defensive barrier. The counters are simple and clean. Most counters are strength points representing the standard infantry/artillery formations that made up most of the fighting troops. There are a handful of cavalry units. Other counters represent the leaders of both armies. Many of the generals who served in the war are present. While officers who achieved army command or were fairly senior are represented, it’s not an exhaustive list. In some cases, the omissions represent officers that didn’t add anything unique that might warrant a distinct counter. The player aid cards are well executed with workman-like quality. Each player gets a card and the card contains all the table and charts needed to resolve actions ranging from running the blockade to resolved a massive land battle. The last major component is the deck of strategy cards. This is not a case of last but least. This is a case of saving the best for last. The cards are at the heart of the game system. The strategy cards contain a strategy point value as well as a specific event. The card can be played in one of two ways – either for the strategy points or to use the event on the card. The points are used to perform an action or actions. Usually this is either activating a general with his troops, or just some isolated troops. But it can include activities such as building forts, implementing political control, creating a new field army or relieving a general from command of a field army. The other option is to play the card as an event. The events cover a wide range of historical events with some benefiting the Union player and others the Confederate player. The fun of the events is in allowing activities which fall outside the strict functional process of the core rules, or to provide random events that mix up the balance of power and add friction to the game. This seems like old hat to us now, but back in ’98 this was cutting edge game design. It’s worth noting that since ’98 the use of this ‘card driven game’ mechanism has been so widely adopted, co-opted and borrowed that we now rarely give it a second thought. But ‘For the People’ blazed the CDG trail. ‘For the People’ is a great two-player game. By putting the player in the role of the president, the game models most of the major dimensions of the war. The Union player has decisions to make regarding the blockade, the development of the Union navy and that search to find competent generals to lead the field armies. Both players have to keep a constant eye on the strategic will index. Strategic will is the metric used to represent the fighting spirit of each state’s collective perception regarding the state of the war. In this case, the higher the will the better. If you let it drop too low, your people may decide that they have had enough and call it quits, regardless of your wishes. ‘For the People’ captures the military strategy dimension through the land campaigns. The game organically keeps both players focused on the key areas of the war in the east and the west. You must stay focused on the traditional corridor between Richmond and Washington, if only to protect yourself from attack. But FtP captures the importance of the Shenandoah Valley as a back door into Pennsylvania. In addition, FtP makes it easy to see the importance of Knoxville, Nashville and Memphis in guarding the western approaches to the heart of the Confederacy. The coastal and riverine rules do a great job of depicting the Union advantage in ships and shipyards while avoiding getting bogged down in a detailed naval sub-system. Beyond the expected operational and strategic aspects of the land war, ‘For the People’ dives into one of the stickier challenges faced by Lincoln and Davis – the political wrangling associated with their respective cadre of generals. You can’t just focus on purely military strategy, you also get to wrestle with issues of seniority and political connections that mandate that a lot of mediocre generals continue to be in command, often in spite of their more talented juniors. Like your historical counterparts, you can fix this and in much the same way. You’ll have invest the time, effort and political capital into the act of replacing or shuffling your military leadership. But the investment of time and political resources can pay off – you need to build command teams for the armies that combine the talents of the right leader with the right subordinates to achieve success on the battlefield. As an extreme example, the historical team of Robert E. Lee, Stonewall Jackson and James Longstreet turns the Army of Northern Virginia (or any army to which you assign them) into a ruthless killing machine that is almost assured of success on the battlefield. If playing the Union, you’ll feel the same despair as Lincoln in your quest for general’s competent enough to take the field without being afraid to fight the ‘best of the best’. Clocking in at 13 game turns, ‘For the People’ does not appear to be an overly long game. Especially compared to the 40 game turns of Frank Chadwick’s ‘A House Divided’. But this number is a little misleading. With 8 to 14 strategy cards being played each turn, it’s going to be a longer game than you might expect. ‘For the People’ is not an overly complex game. Yes, there’s a lot going on, but much of what is happening is accessed through the means of the strategy cards. The game does not bog down in the weeds of terrain types and a detailed micro-management of combat. ‘For the People’ forces the player to view the war through the lens of the Presidential office. You have the power to prod and poke your generals, set strategic goals and wrestle with managing the will of the people to support your efforts. But there’s a lot of friction and sometimes outright treachery from within your own government and country that is modeled by the historical events depicted on the event cards. Both sides will jockey for control of the border states like Missouri, Kentucky and West Virginia. Like your historical counterparts, you have to decide how much effort to sink into these contests – can you bring them into your faction, or is it enough to keep them neutral? It does a great job of covering features of the war that receive less focus. Sounds great, right? But even with all that awesome goodness, there are still a few things in the game that didn’t mesh as well as you might like. A big part of this is due to the strategy card deck. While the 130 event cards give a great overview of the well known and many lesser well-known events, the structure of the event card deck is total random. The Emancipation Proclamation event may appear very early in the game as could the Red River Campaign event. Both are important and both need to be in the game, but either event occurring early in the game is likely going to be a setback for the Union. This challenge has been addressed in other CDG – the solution was to classify the cards into period decks that weights the likelihood of events happening closer to their historical time frame. We’ve seen such a solution successfully implemented in other GMT products such as Twilight Struggle with it’s early, mid- and late period cards or Illusion of Glory with the similar limited war, mobilization and total war card sets. It’s one of those little things that seems obvious in hindsight. But we’re not here to redesign the game! The other item that felt bothersome is in how the game handles the growing power of he Union Navy. In ‘For the People’, the growth of the Union Navy is driven through the play of event cards. As noted above, the random nature of the deck construction means there is little control over when the cards will appear or if they will even appear as part of the Union player’s hand of cards. This randomness regarding the impact of the Union Navy stands in contrast to GMT’s Rebel Raiders and Blockaders in which the projection of Union naval power is as inexorable and as regular as a beating drum. The depiction in ‘FtP’ ties back to the Union player having to decide where to focus his resources and energy if the opportunity to invest in the navy arises. But it felt a bit off to make it a choice between improving the blockade or taking the Army of the Potomac into the field for another campaign. Then again, giving players these sorts of choices are what a good strategy game should do. In the end whether or not this approach ‘works’ in the game boils down to a matter of perspective and expectation. Just don’t expect the Union Navy to bloom into being – you’ll have to invest the resources to grow the fleet into being. ‘For the People’ is not expressly designed to support a solitaire gaming experience. It lacks solitaire rules or ‘bots to automate the play of either side. As each turn is driven by the play of the cards, it’s not impossible for a single person to switch back and forth playing the cards in each strategy card round. However, you’ll miss the excitement of saving a big offensive card until late in the hand and springing the surprise on your opponent. You’ll still get the randomness of the combat results from battles as a quick roll of the dice gives you the results. But to get the most enjoyment of out the game, ‘For the People’ is an experience best shared by two players. And it’s an experience worth sharing. It’s a well-executed game that has stood the test of time. Even the most knowledgeable student of civil war games will find something familiar as well as something new across the span of the event cards. The game play is challenging with each side having several strategic options in how the approach prosecuting the war. The random order of the card draw makes it unlikely that any two games will unfold in the same manner. Unlike re-watching ‘Empire Strikes Back’ fifty times and committing it to memory, you’ll experience a fresh new perspective on the war with each new game of ‘For the People’. March on your local game store and procure a copy today.